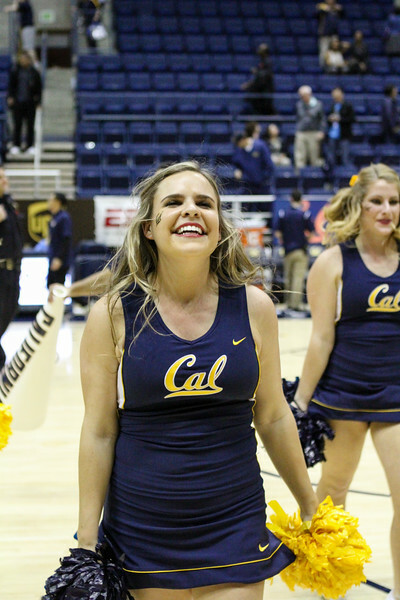 The Bears routed #11 Oregon 83-63 in front of a multitude of excited Cal fans. The Ducks sported the #1 RPI and had won 9 of their last 10 games, including an impressive win at Arizona. The Bears were undaunted by their reputation and quickly took control with an early lead. By applying tenacious defense with high energy, the Bears controlled the paint and dominated inside, 46-22. The Ducks were out rebounded 39 to 26 and held well below their scoring average. The Bears led by Jabari Bird's 24 points seemly scored at will and easily cooked the Ducks. The unbeaten streak at Haas is now 15 for this year.